A new summer colour inspired by urban jungle interiors – warm timbers, browns, luscious greens paired with crisp white and blacks. Made from rekindled NZ native Rimu or Kauri is a keepsake your family will be able to keep for many years to come. Note: Photographs feature the Rimu wood option. Kauri is subject to availability. 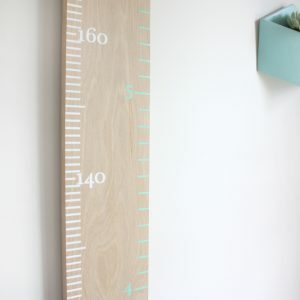 These height charts are ©OnWood and are designed and manufactured in NZ by the OnWood team. The very first of our Monochrome collection has arrived. This neutral pallet is perfect to fit a room of any colour without lacking style. This beautiful piece of artwork made from rekindled NZ native Rimu or Kauri is a keepsake your family will be able to keep for many years to come. 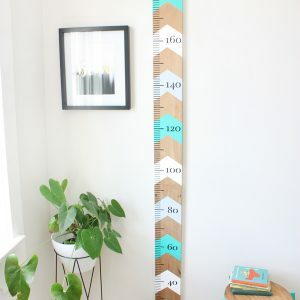 Please allow 2 weeks for made to order height charts. Dedicated to the Mitchell’s second little cherub, we introduce Honeybee Sam – cheeky, but sweet. And now in a new vintage collection of vintage pinks. 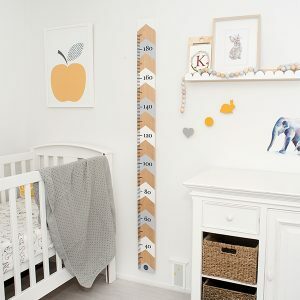 Add a beautiful geometric honeycomb design with a Scandi feel to your little one’s wall. 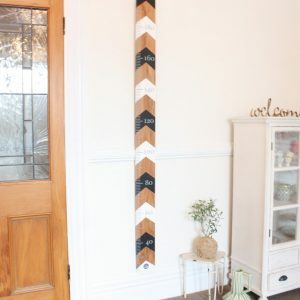 This gorgeous piece of artwork made from rekindled NZ Pine (and available in Rimu), a keepsake your family will be able to keep for many years to come. Shiver me timbers, we’ve hit the mother-load. Reef sails and swing the lead we’re going ashore! 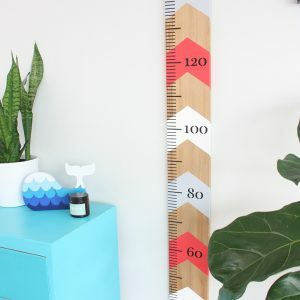 Your little pirate will love their very own piece of treasure to hang in their cabin – a gorgeous up-cycled piece of NZ native Rimu or Kauri. Watch as they grow on either a centimeter or feet design, made with sustainable, child friendly paint. Note: Rimu is our standard chevron timber and Kauri is subject to availability. 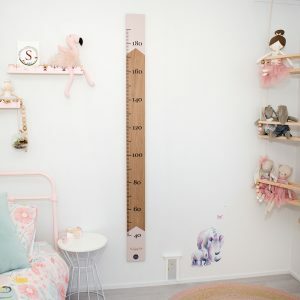 We’ve taken our vintage pink Honeybee Sam height chart to a new Golden level to celebrate the arrival of another girl to the OnWood family. 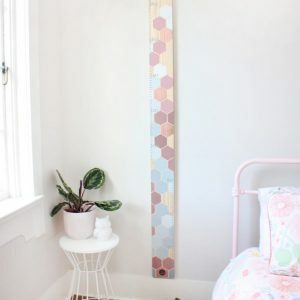 Add a beautiful geometric honeycomb design with a Scandi feel to your little girl’s wall. 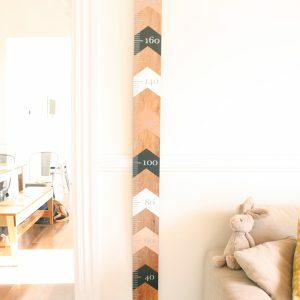 This gorgeous piece of artwork made from rekindled NZ Pine (and available in Rimu), a keepsake your family will be able to keep for many years to come. Dedicated to the Mitchell’s second little cherub, we introduce Honeybee Sam – cheeky, but sweet. 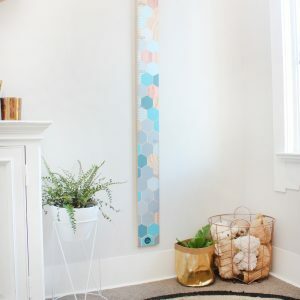 Add a beautiful geometric honeycomb design to your little one’s wall. 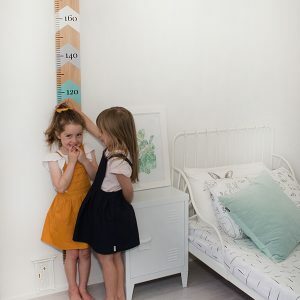 Another great gender neutral height chart with a Scandi feel. This gorgeous piece of artwork made from rekindled NZ Pine and is a keepsake your family will be able to keep for many years to come. Only -3 left in stock! 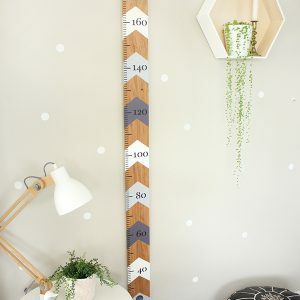 This new range of height chart allows you to see the beautiful reclaimed native NZ timber (Rimu and Kauri) while also featuring a touch of colour. 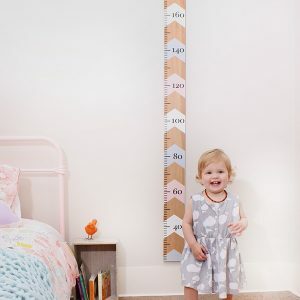 We love the hint of personality that the ‘no tippy toes’ message gives at the bottom of each height chart. This foggy grey is mr neutral of the Dipped range. Match with any colour you like, or earmark it for the living room or kitchen. A moody blue with a hint of green. 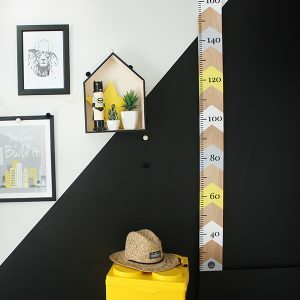 Gorgeous option for a boys room and also a sophisticated colour to fit in a living area. We hope your family will get a lot of delight from their new keepsake. One for the girls – this dusky pink is a slightly different colour to our Chevron range and we have just fallen in love with it. We hope your family will get a lot of delight from their new keepsake. Our eggshell blue is a little more blue than green and we had such a great response to it at our market launch – a great gender neutral, on-trend colour. This beautiful piece of artwork made from rekindled NZ native Rimu or Kauri is a keepsake your family will be able to keep for many years to come. 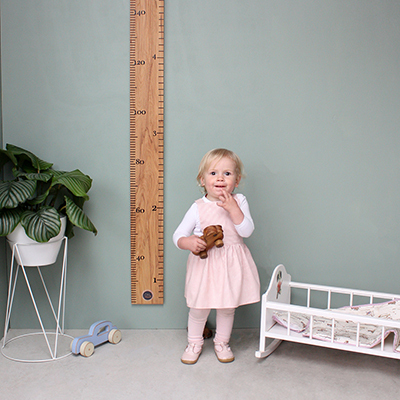 Introducing one of our two limited edition Easter height charts. A blushing bunny brings a little touch of peach to your little one’s room – a colour which is on-trend in girl’s rooms at the moment. This beautiful piece of artwork made from rekindled NZ native Rimu or Kauri is a keepsake your family will be able to keep for many years to come. 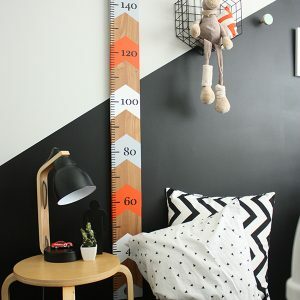 One of three height charts in our Monochrome collection. Match with pops of your favourite colour or with a range of black and white textures. This beautiful keepsake made from rekindled NZ native Rimu or Kauri is a keepsake your family will be able to keep for many years to come. Enchant the girls with this elegant, romantic pink. 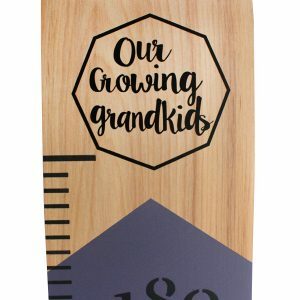 Gift your special little person their very own up-cycled piece of New Zealand native timber and customise it just for them. Choose between Rimu or Kauri, and a centimeter or feet design. One of three our new Monochrome collection. 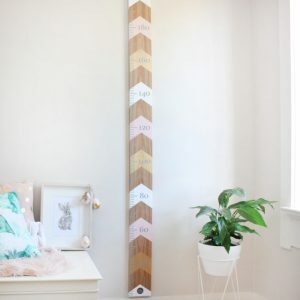 This height chart brings some bling to our Monochrome Collection and the copper is a gorgeous warming touch to a room. This beautiful keepsake made from rekindled NZ native Rimu or Kauri is a keepsake your family will be able to keep for many years to come. 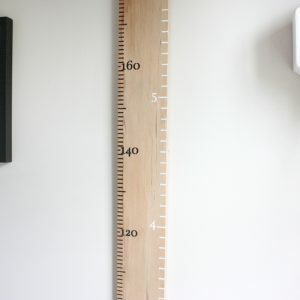 For those familiar with metric and those who think in imperial, here’s a height chart for you. 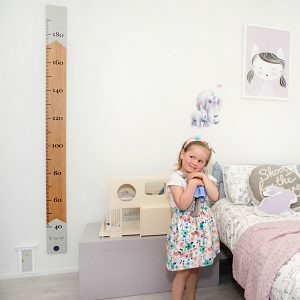 Designed with simplicity in mind, this beautiful keepsake will fit perfectly in your little one’s room or in your living area. 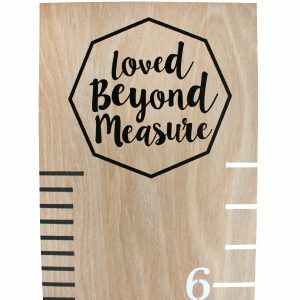 Have those special little people make their mark on a piece of artwork made from rekindled NZ native Rimu or Kauri. Opulent and classic – this gender-neutral violet toned charcoal will stand the test of time. 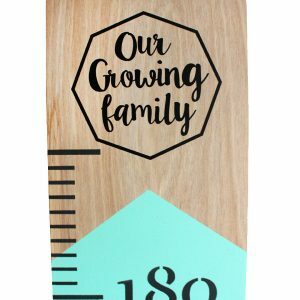 Gift your special little person their very own rekindled piece of beautiful NZ native timber and customise it just for them. Choose between up-cycled NZ Rimu or Kauri, and available in a centimeter or feet design. A pop of yellow is the perfect way to be inspired. Capture the joy of Paris Daisy. Every little person deserves their very own piece of artwork so why not start with a beautiful, rekindled piece of NZ native Rimu or Kauri. Enchant the girls with this elegant, dusky pink and made even more special with a beautiful gold. Rest easy and unwind with this refreshing and cheerful green. 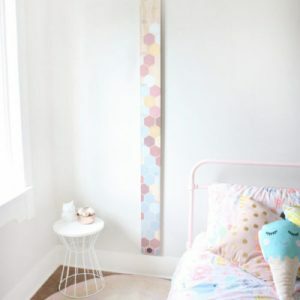 Give your special little person their very own rekindled piece of NZ native timber and customise it just for them. 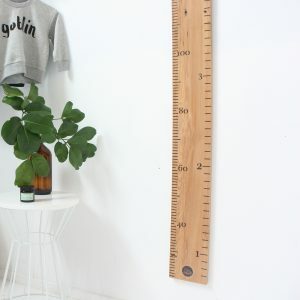 Choose from either up-cycled Rimu or Kauri, available in a centimeter or feet design. Made with sustainable, child-friendly paint. Note: Photographs feature the Kauri wood option which is subject to availability. Rimu is our standard chevron timber. For all our spirited boys out there we introduce Blueberry Pie! Your cheeky little one will just love their very own keepsake artwork to hang on their wall. This beautiful, rekindled piece of NZ native Rimu or Kauri will last more than a lifetime and will be truly appreciated when your child has children of their own. A gorgeous raspberry, inspired by cozy bohemian environments – mix with a range of bohemian colours such as navy blues, teals, turquoise, oranges and gorgeous warm timbers or white (the bohemian world is your oyster!). Made from rekindled NZ native Rimu or Kauri is a keepsake your family will be able to keep for many years to come. Drink up the vibrancy of this free spirited, uplifting orange colour. 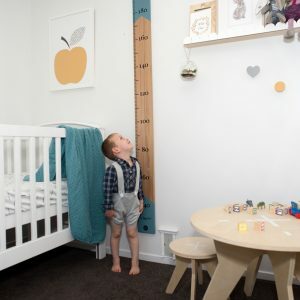 Your special little person will be thrilled to have their very own height chart, made from a rekindled piece of NZ native timber, hanging on their wall, and customised just for them. Choose between Rimu or Kauri, and a centimeter or feet design. 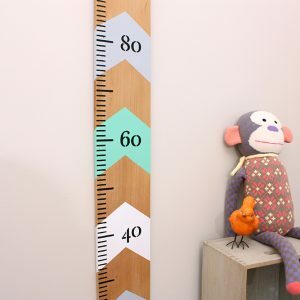 Complete your gorgeous custom height chart with one of our Finishing Touches. Made from high quality vinyl, this final detail is the icing on the cake for your your special keepsake. Please place your child's name in the comments field when ordering. 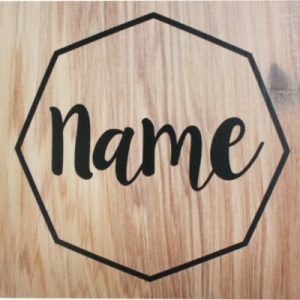 Note: If you would like more than one child's name, please email us at shop@onwood.co.nz for a quote. Likewise, if you would like other custom copy, we welcome queries. Did you know that in New Zealand, on average, each family moves home every four years? A little difficult then to keep the same bedroom door jamb. Little people grow into big people so very quickly and now you never have to leave behind those precious records. 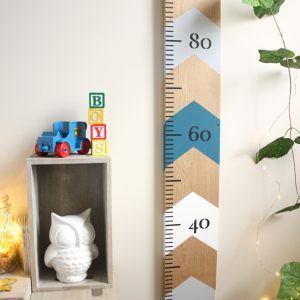 Preserve those memories and treasure your child’s very own piece of artwork from the OnWood range. 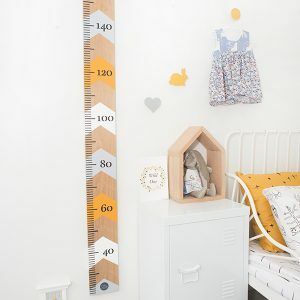 Marking your little poppet’s height on these gorgeous OnWood height charts is child’s play using a permanent marker or coloured paint pen, and a great new tradition for parents, grandparents, or favourite aunties, uncles or friends! Each length of reclaimed timber has been individually hand picked, lovingly rekindled and is looking for it’s new home.